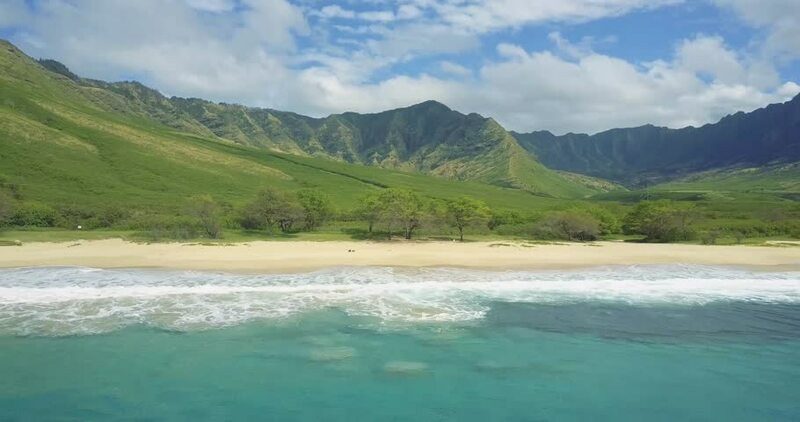 Aerial footage of a beautiful beach and mountains in Oahu, Hawaii. hd00:18Tropical vista, rich, green mountains and ocean background, foreground ledge, blue sky and moving clouds, lock off for plate. 4k00:29Cows walk on a green grass. Mountain landscape. 4k00:17River Utcubamba near Leymebamba in the Andes of Peru, South America. 4K Nature video footage.